purchased gets the lister 5 MONTHS FOR THE PRICE OF 1!!! 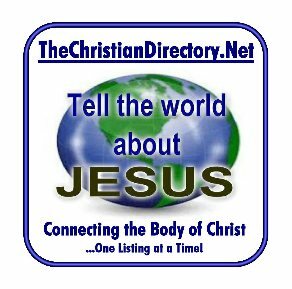 That's only $2.00/month for a listing on a top Search engine ranked Christian Directory. 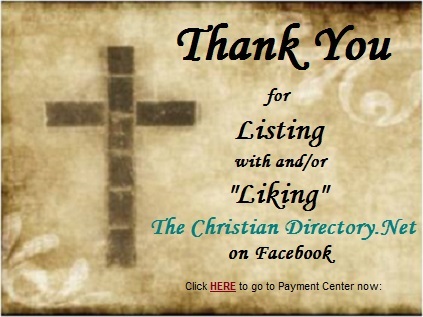 Please prayerfully consider taking a leap of faith in getting a paid listing with us. If you think about it, any form of paid advertising takes a leap of faith. This special early supporter offer works out to being only $2.00/month (again, that’s for 5 months – from now through the end of December 2013 – for the regular cost of 1 month). AND, you can take advantage of this special offer on as many listings as you choose. But again, you must take action by FRIDAY, AUGUST 16, 2013.
to hear about how we are trying to build up and connect the body of Christ. *This special early supporters’ offer is exclusive, non-transferrable and is for a limited-time only.